Welcome to the Grand Theft Auto 5 Hidden Packages locations guide that helps you find the total of 12 Hidden Packages locations for the Xbox 360 & PS3 open world action-adventure game. * You get from $8,000 to $14,500 in cash from each package, adding up to $150,000 in total. * Bonus: Using our GTA 5 money cheats you can massively increase these package earnings. The overview for all these in-game Hidden Packages locations is shown below. Protip: These packages are difficult to obtain, it’s advised that you max out stats to get a high lung capacity and stamina to avoid drowning before you can reach the packages. How to find missing Hidden Packages? : In-game the Hidden Packages will appear simply as white glowing suitcases lying on the bottom of the ocean floor near the coast, that can get picked up to collect when you swim over it. It can be confirmed as being Hidden Packages as it’ll disappear once it’s been obtained, and the on-screen text will then tell you that you have received a certain dollar amount (displayed in the top-right corner). Does the game save each Hidden Packages you collect? : Only if you have automatic saving turned on. If you don’t have auto-save on, the game will ask you if you want to save. So for the Hidden Packages you just collected, you don’t have to play to the end of a mission. Where to find all Hidden Packages in Grand Theft Auto 5? The in-game collectibles locations for the Hidden Packages are described in this detailed video guide. 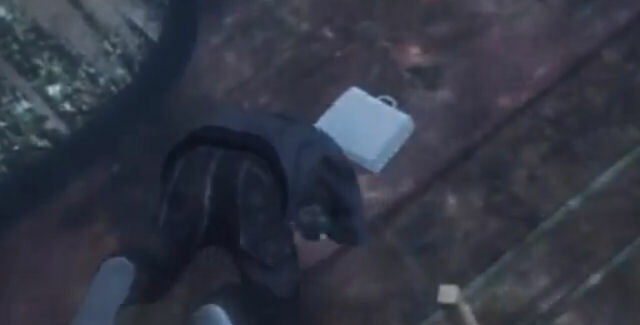 The Hidden Packages are shown in the video in the order that they appear at random across Los Santos, with map locations & descriptions included for each one. Huge thanks to NewVegasLightning for the guide videos and tips. Please comment if you have any additional Grand Theft Auto 5 Hidden Packages location tips of your own, we’ll give you credit for it. – Thanks for visiting!